iGamingDirect is an Online Gambling Informational and Insight Company. Our website provides gambling insight, news and information about the online gambling industry. Our team of professionals has been involved in the iGaming industry since 2005. The goal is to keep anyone in the gaming businesses informed about the state of the online gambling industry; while at the same time providing valuable insight. We specialize in bringing businesses together with our online gambling directory and reviews. Even though our content is mainly intended businesses, anyone in the gaming industry can use our information. 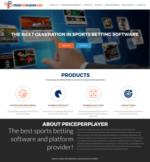 We specialize in publishing and providing reliable information to the iGaming industry through our websites and gambling white paper reports. Our content varies from factual news to well thought out and researched opinions. This is why we are the Online Gambling Informational and Insight Company of choice for many providers in the business. Our expert editors ensure that only the most relevant industry content is published on our website. All gambling press releases are subject to a strict review that must me our quality guidelines. If you are interested in submitting your press release, please email it to info@igamingdirect.com. iGaming Direct S.A. is registered company in San Jose, Costa Rica.